Wet (high pressure) or Dry (bonnet) Method. We got them both. Let Bill determine what's best for your carpet material. Fast Drying Times, too! No Worries. while safe for pets and family. That's why you call Bill Bailey! It's his specialty and very reasonably priced. 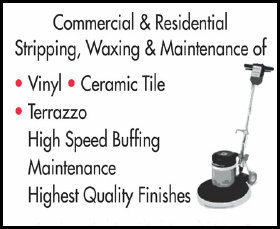 From home flooring, to business offices, to medical suites, to building complexes, banquet rooms, and more. ​We have "solutions" for your "challenges".